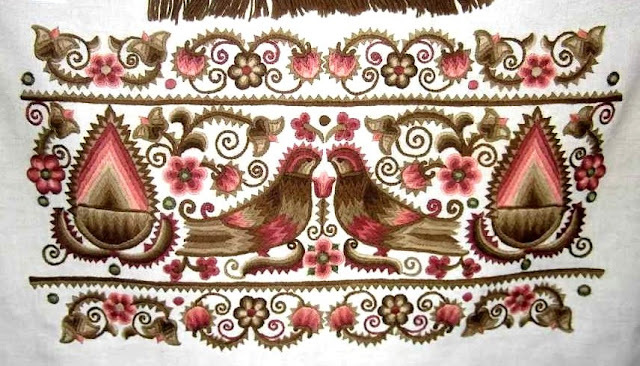 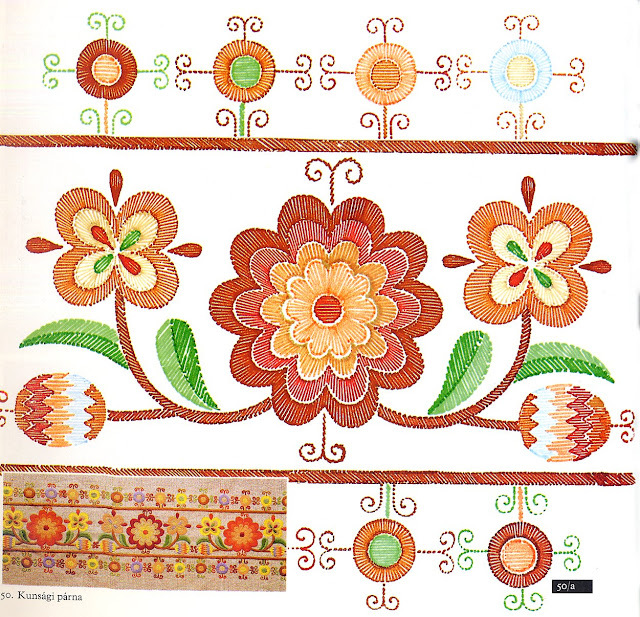 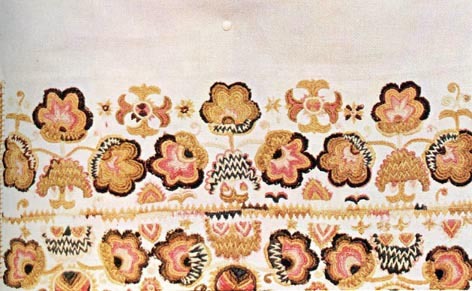 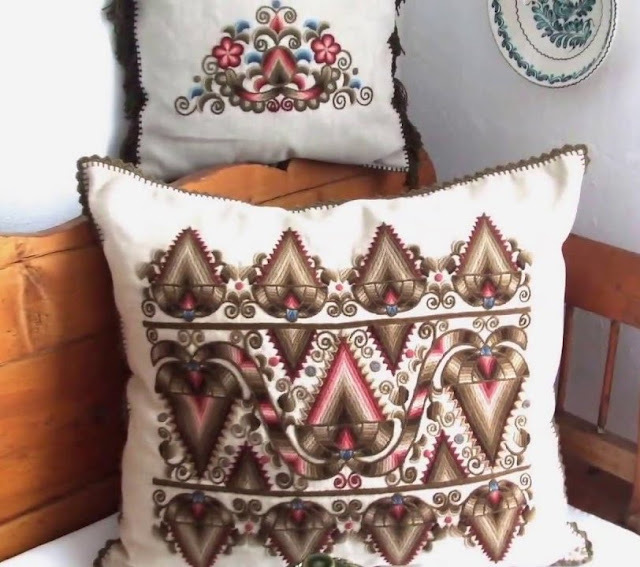 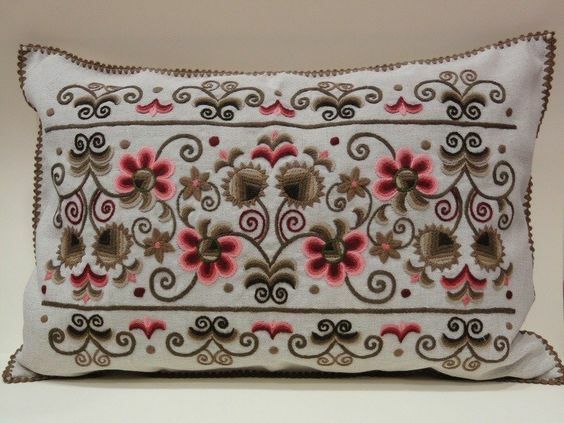 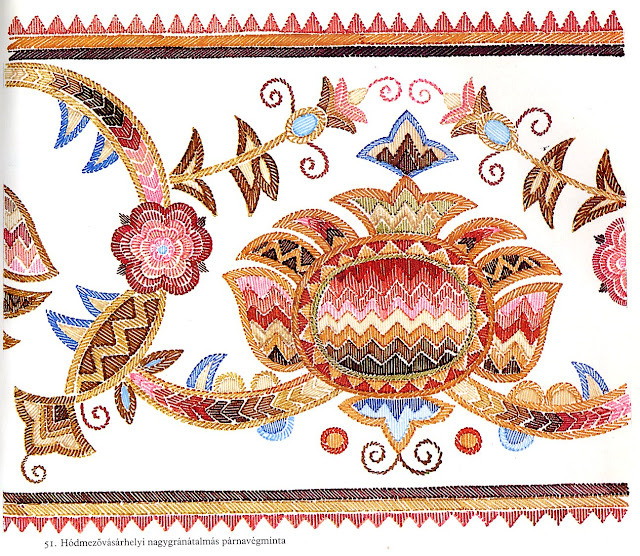 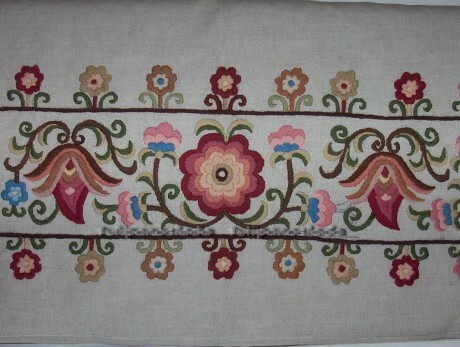 Today I will talk about one particular embroidery style from Hungary. 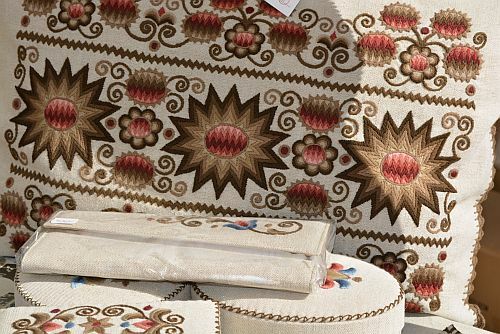 When we think about Hungarian embroidery what usually comes to mind are the bright contrasting colors and teardrop forms of the Kalocsa or Matyo regions. 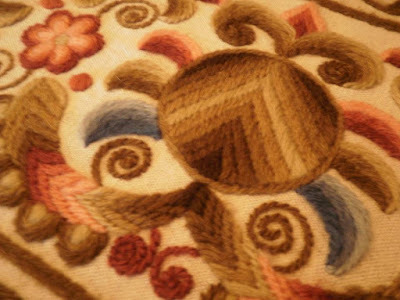 This style, with its subtle tones of pink, brown, and blue that intergrade by hue stands out as very unique by comparison. 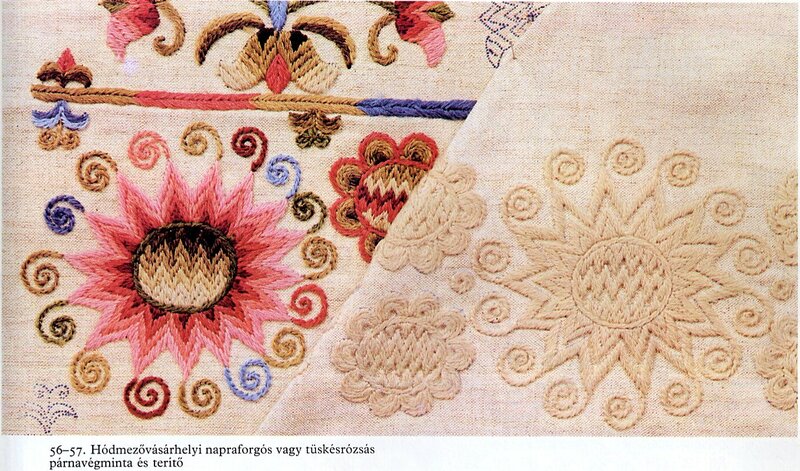 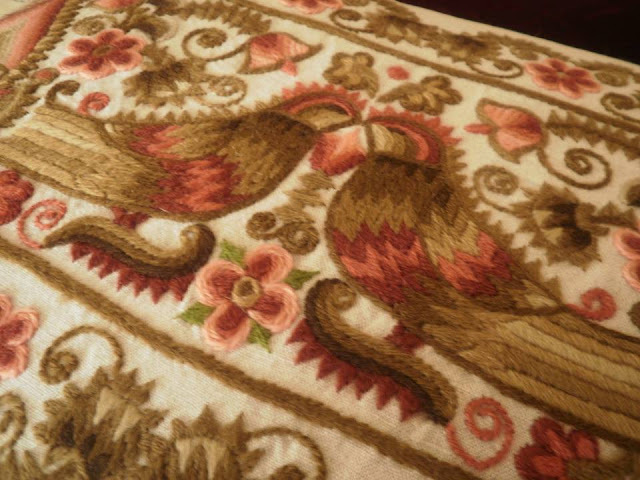 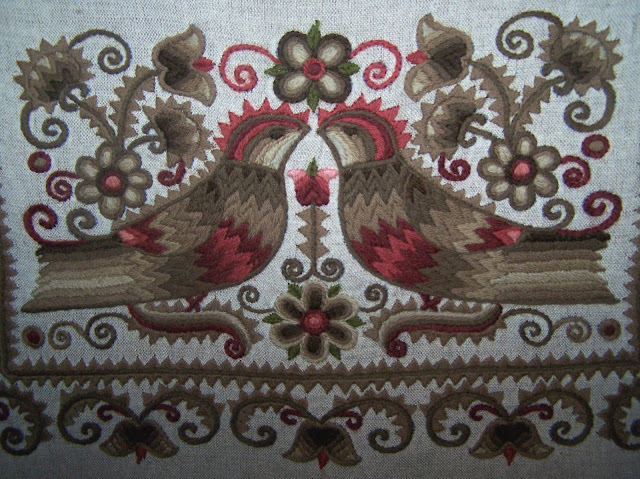 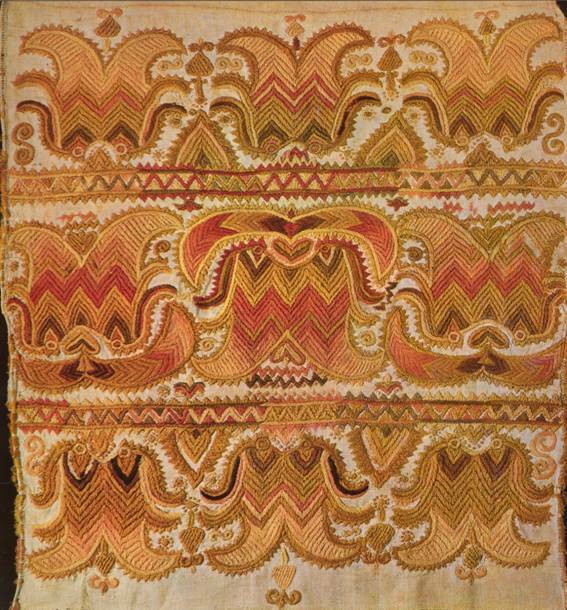 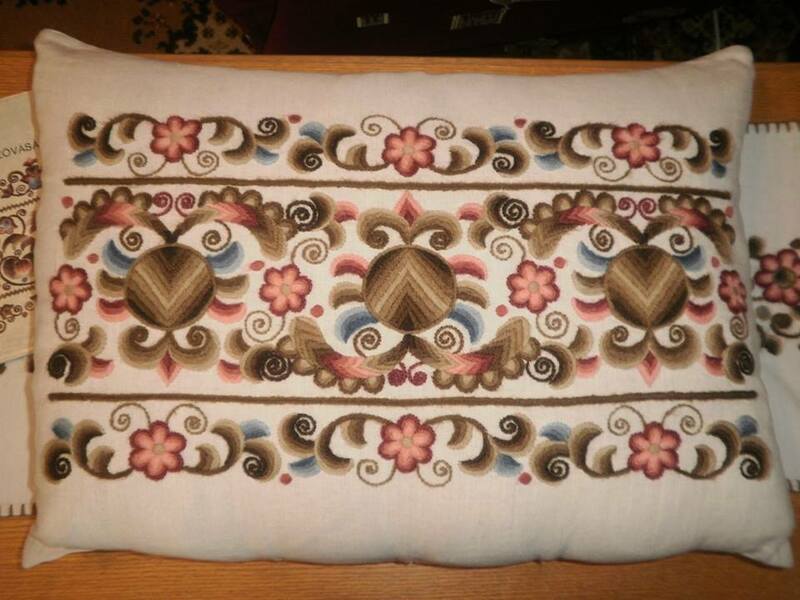 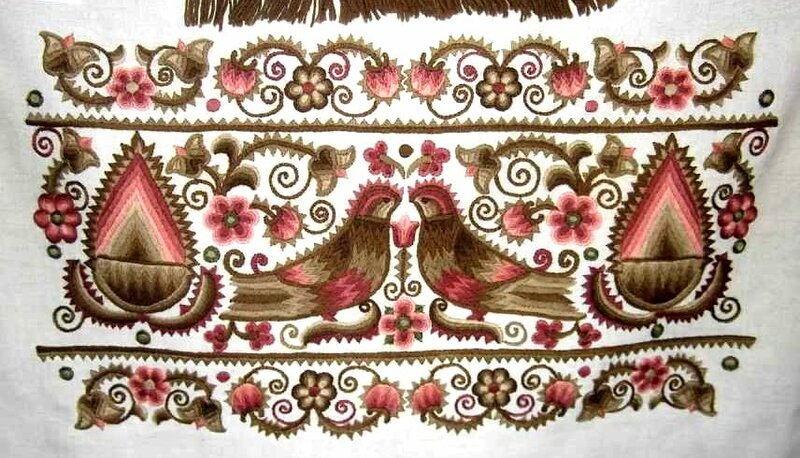 In Hungarian, this type of embroidery is known as Hódmezővásárhelyi hímzés, after the town of Hódmezővásárhely [which means 'Market town on Beaver Lake'], or as Kun hímzés, or Cuman embroidery. 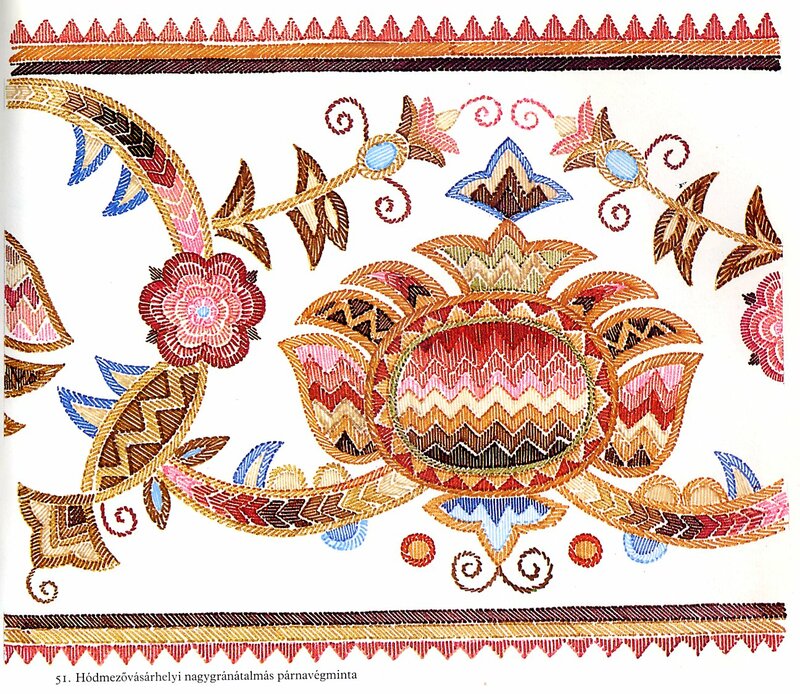 The Cumans were one of the Turkic speaking tribes that came to power on the steppes of Eurasia in the middle ages. 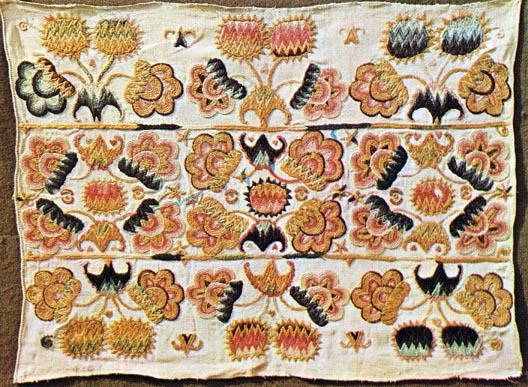 Their empire was broken by the Mongols, and the remnants were scattered in many places. 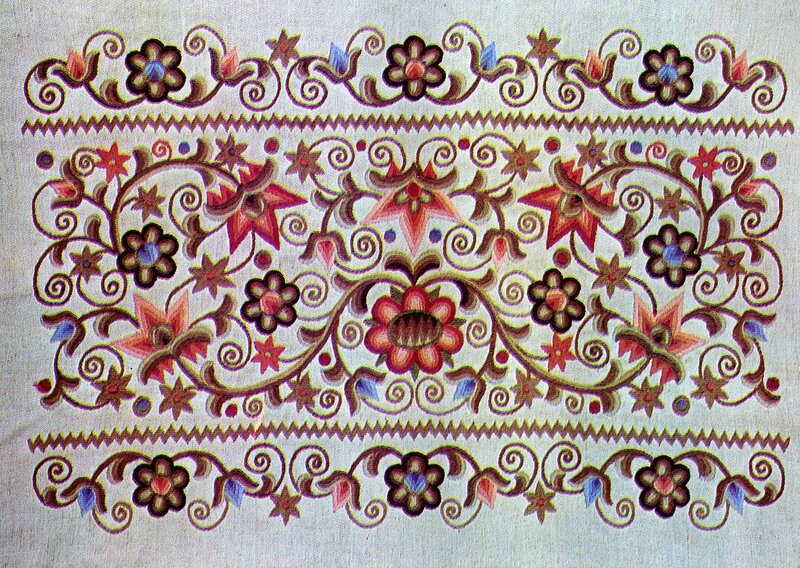 One of the places in which they settled was Hungary, on the plains of what is now the southeast corner of the country, known as the Kunság. The Cumans were also known as Polovtsi, Plavtsi, Valani, Phalagi, Valvi, Kumani, or some other version of these names. These terms all mean 'blond', and in fact, the Cumans were known for being blond and blue eyed. 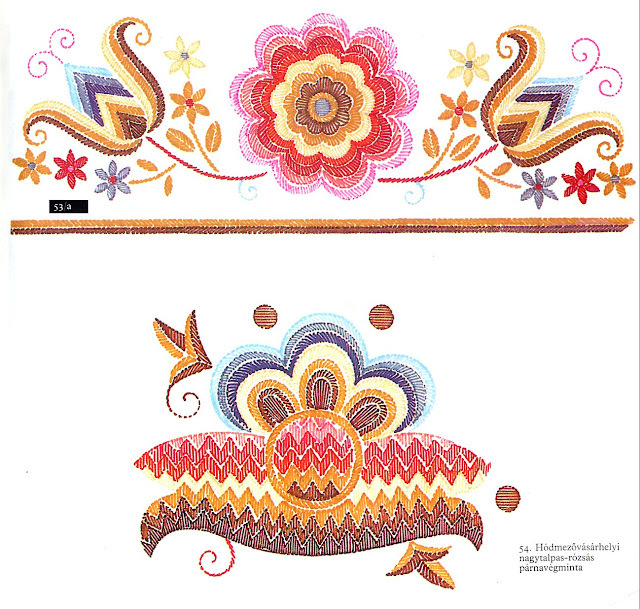 This has led to much speculation and confusion as to their origin. 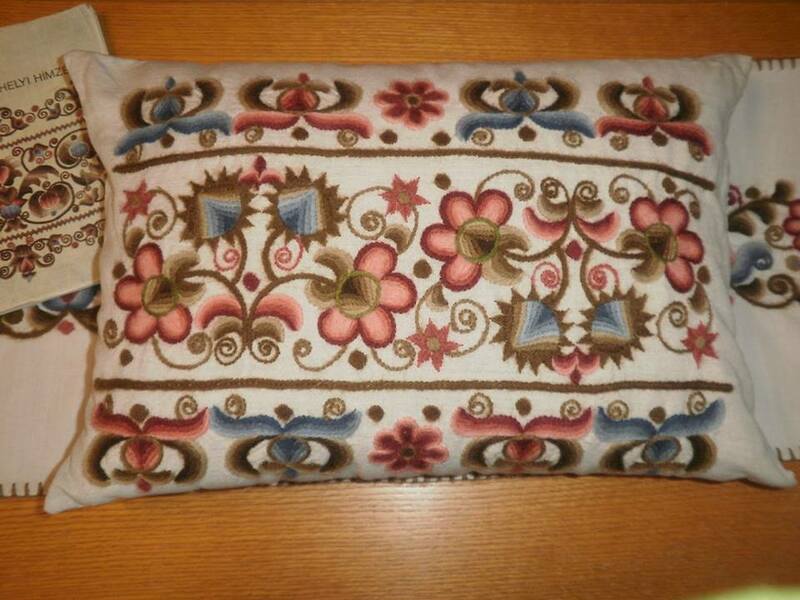 In Hungarian, they were known as Kun, which just means nomad, but has now come to refer just to the Cuman people. 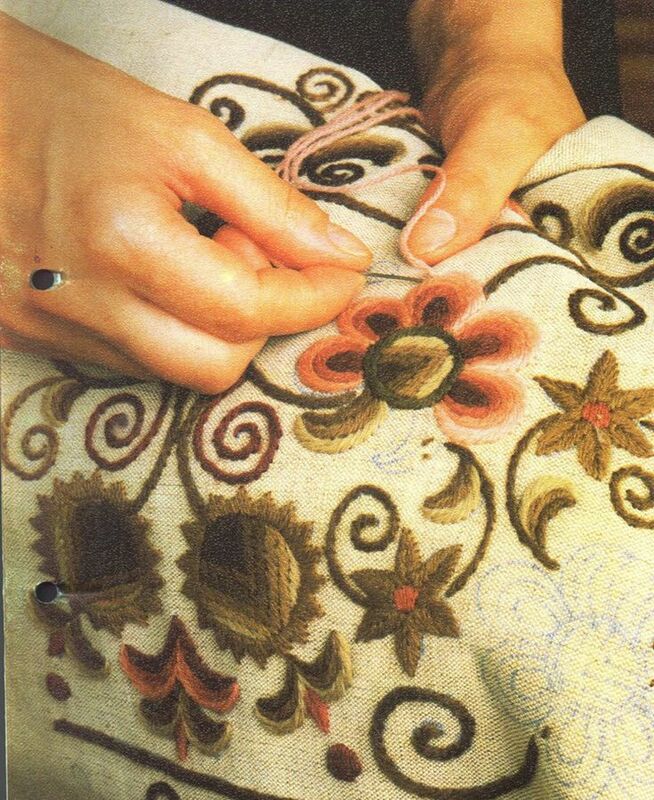 They kept their culture for many centuries. 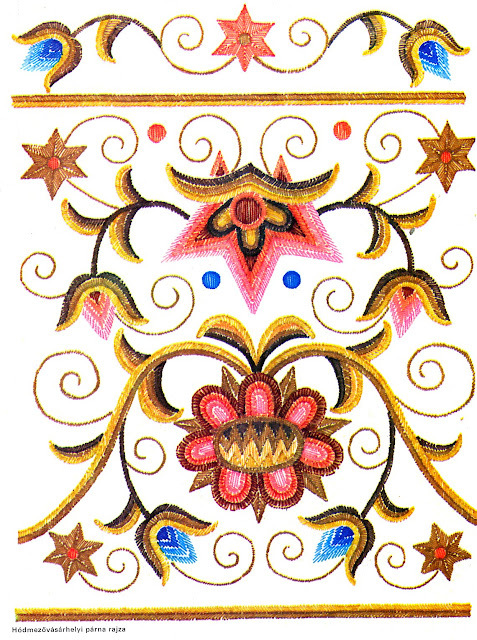 The language died out in the mid 1700's, but the people in this region still keep the memory of their identity as Cumans. 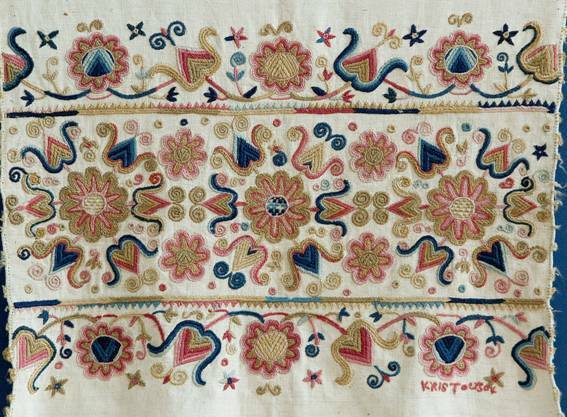 This remnant of Cuman culture stands in stark contrast to the embroidery of the rest of Hungary. 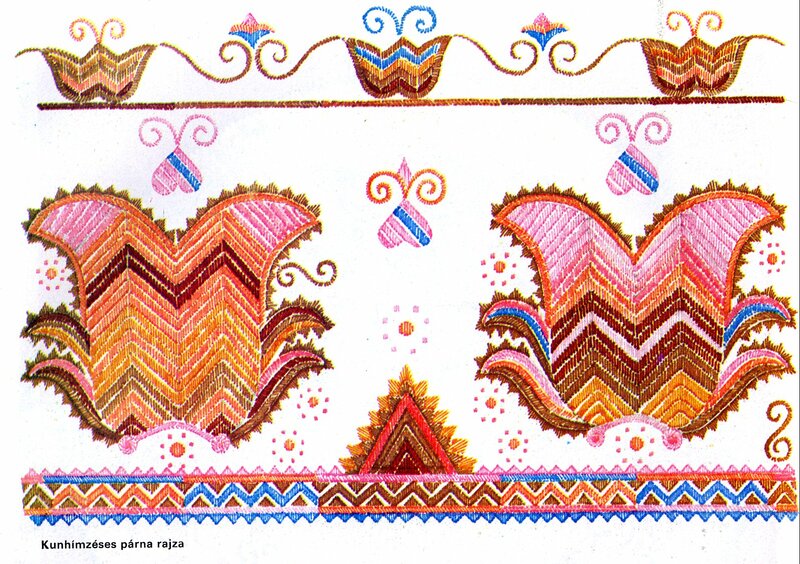 Besides using colors that are unusual for Hungary, the shapes are also atypical, the tones being laid out in areas formed by straight lines, Vees or zigzags. 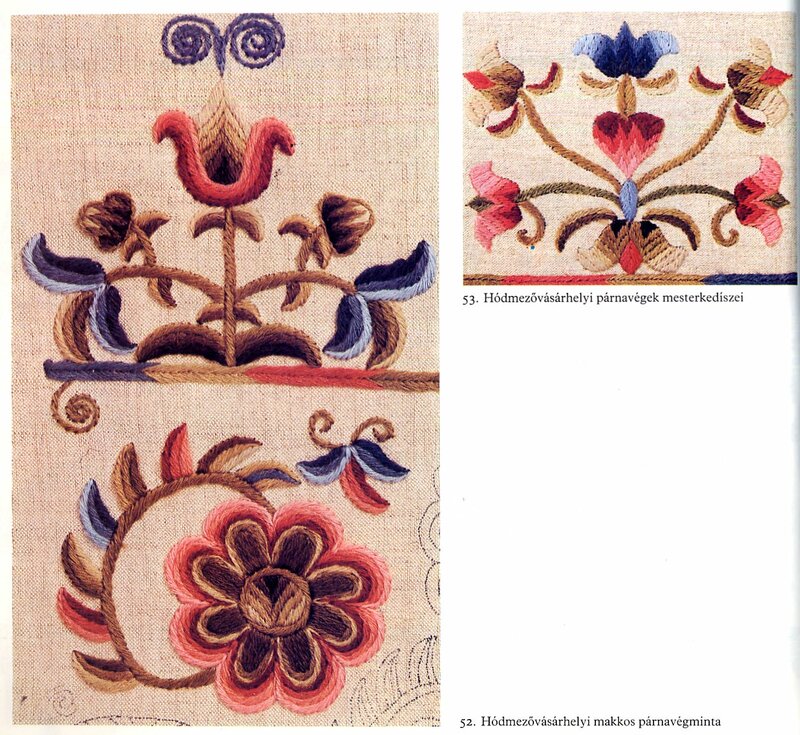 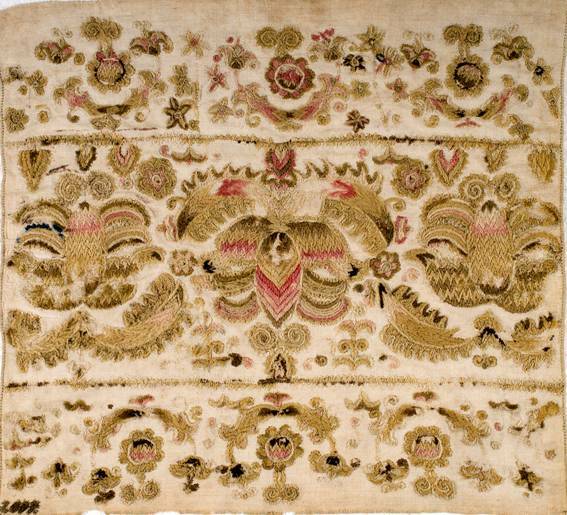 The motifs are almost always floral. 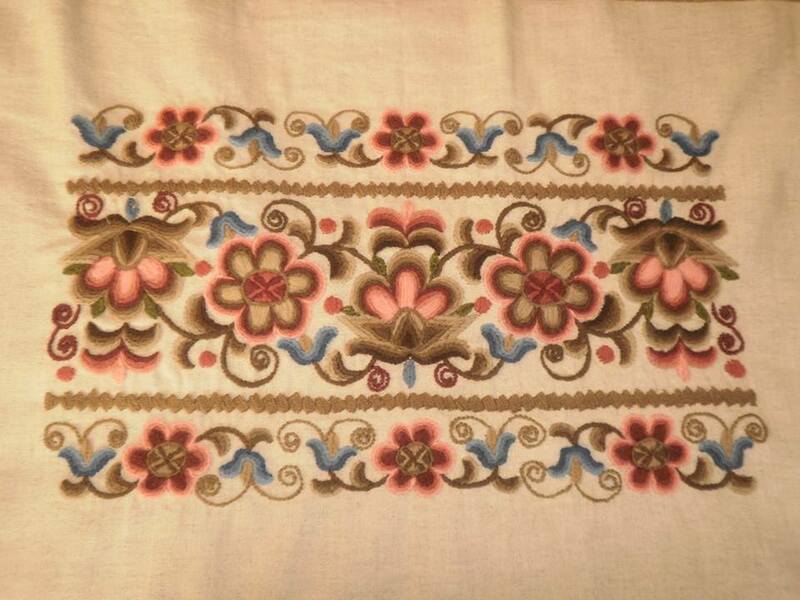 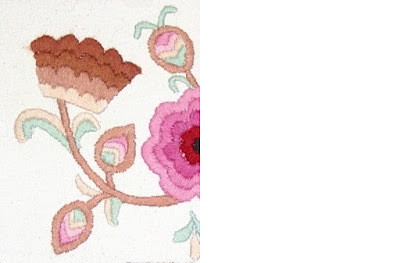 The stitches used are satin stitch, stem stitch and chain stitch. Today they are executed in rather fuzzy wool floss. 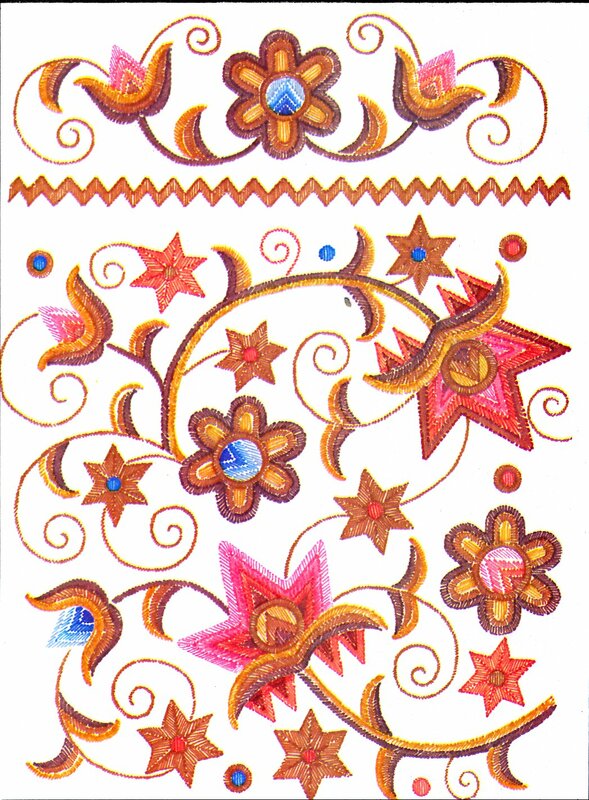 I here present some examples of this work. 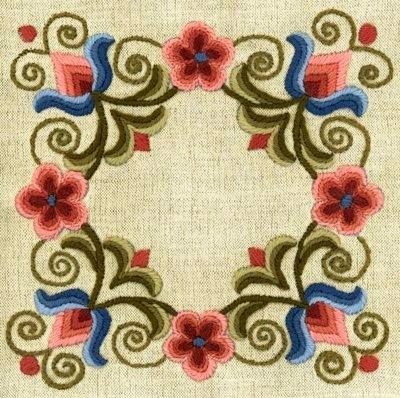 It has its own undeniable attractiveness, and I would encourage you to use some of these designs in your own projects. Thank you for reading. 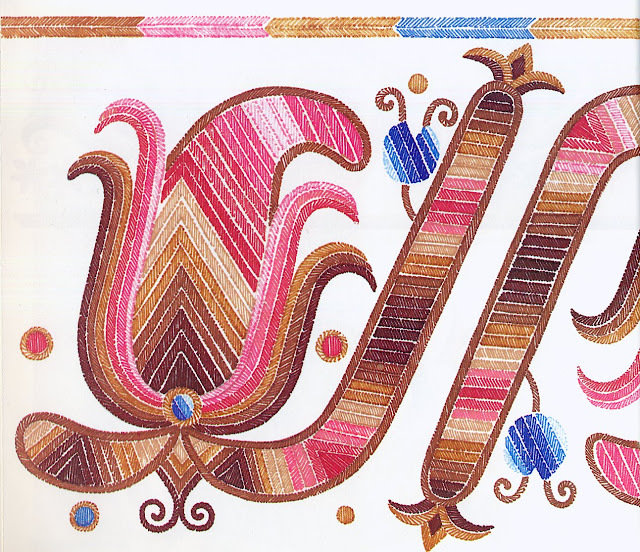 I hope that you have found this to be interesting, informative and inspirational.